Next Monday 19th December 2016 we’ll present and discuss outcomes and outstanding issues regarding the thesis “Territori e Luoghi Progressivi. Keneta: Trasformazioni in un Quartiere Informale, Durrës, Albania”. by Luca Pinnavaia, Erblin Berisha and Daniele Steffan about the informal settlement of Keneta in the city Durrës, Albania. 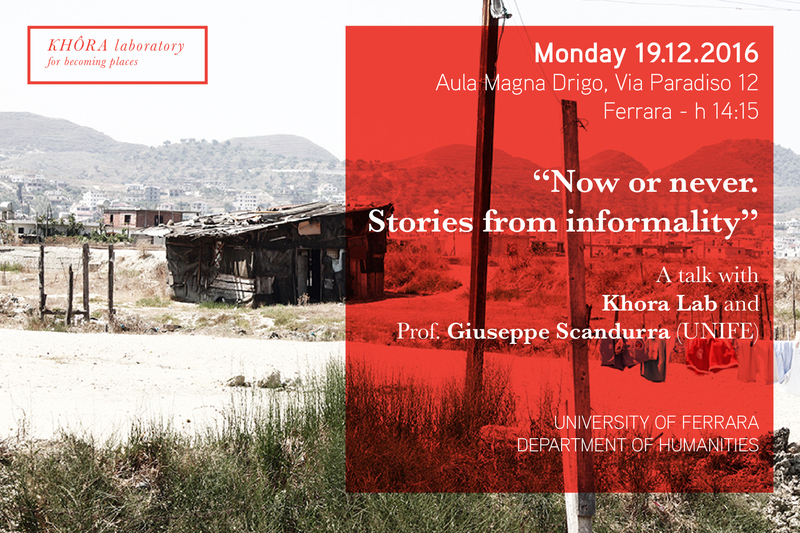 The lecture will be held within the course of Cultural Anthropology and we’ll talk with Prof. Giuseppe Scandurra about the meaning and controversial terms of “informality” in the urban transformation of cities.